Today is the day! 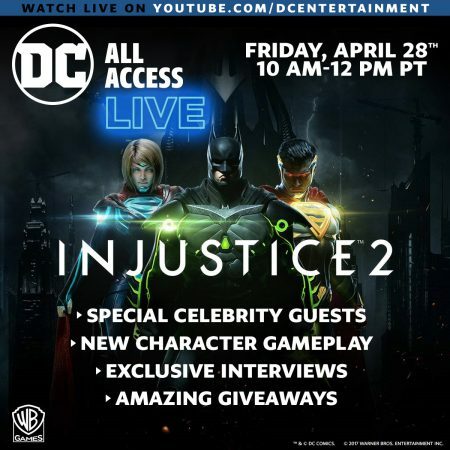 DC All Access is hosting a special live event featuring Injustice 2 starting at 10am PST (1pm EST). Check out the press release below for all the details regarding today’s Injustice 2 live stream event. The wait is almost over! In anticipation of the May 16 release of Injustice 2, DC All Access is hosting a special live event full of celebrity, carnage and comics. Broadcasting straight from Machinima Studios in Los Angeles, the special episode will stream live Friday, April 28th from 10 a.m. to 12 p.m. PST.